Following the unbelievable success of Eli's first album comes his newest project, SECOND HAND CLOTHING. 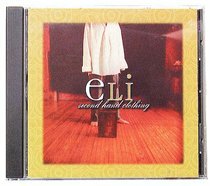 From this album Eli promises something "a little more organic, but not too radically different in style from the first album." This album features the kind of insightful lyrics that keep you thinking long after the music has ended.